Home / Militaria, collectibles, insignia, buttons etc. / Other military items. / Tobacco pipe, finnish, 1945. 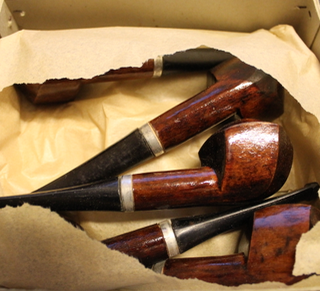 Original after war shortage time pipe, bowl is made of finnish "applewood" and bakelite stem, unissued, available also in 12pcs box. Chamber: 16mm diameter, 21mm depth.